This very classic white and ivory color scheme complimented the Starlight Roof at the Chase wonderfully. 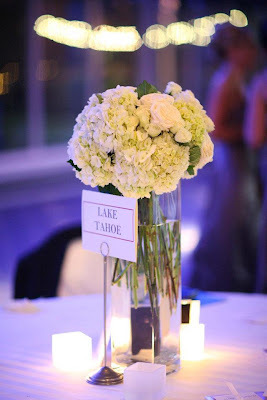 All the flowers were very textured and soft and lent to the warm feeling of the ceremony and reception. 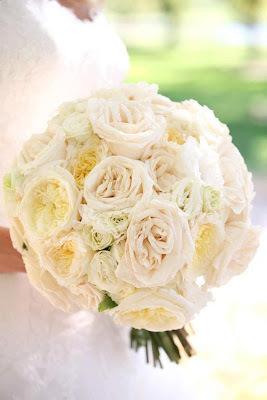 The bridal bouquet was a mixture of roses- standard, garden, and spray. 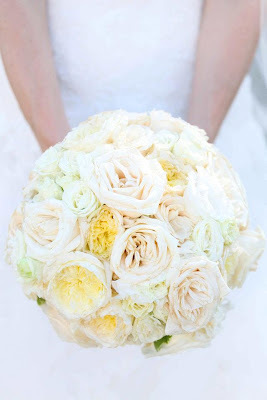 The different shades of white and ivory really give each bloom definition. The reception flowers reflected the softness of the ceremony flowers. 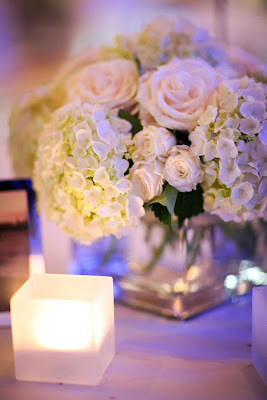 With all white and ivory flowers on the tables and the soft candlelight that glowed throughout, the whole reception had a very romantic feeling. 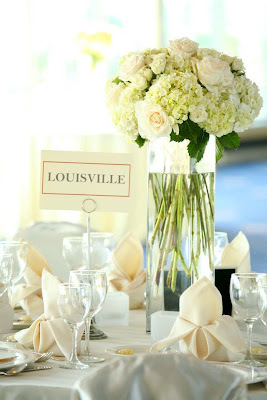 This event was simply gorgeous and we had a lot of fun working on it! !